A lot of people are suffering from joint pain when walking or jogging. Taking a walk may seem like an unpleasant activity. Do you prefer to spend your time sitting on a chair, ignoring the problem? This only makes things worse. Our goal is to give you a tasty boost and get you out of your couch. 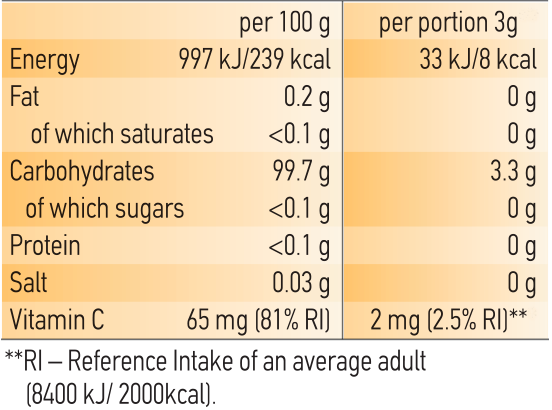 Vitamin C contributes to normal formation of collagen for normal function of bones and cartilages. 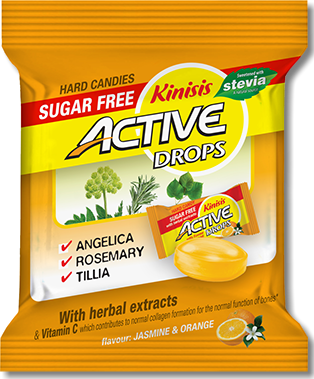 0% Sugar with natural sweetener from stevia plant. It has a pleasant flavor of Orange and Jasmine that can get you to try it just for the great taste. It is very invigorating and refreshing. Used for the relief of tired muscles. In alternative medicine offers alternative treatment helping to overcome traditional problems associated with arthritis. It can be used to help in the treatment of arthritis and has antibacterial, antifungal, digestive, antispasmodic, diuretic and cardiotonic properties. * The information provided is related to sources and bibliography for herbs and it is informative. It cannot be considered as medical advice or used for diagnosis, treatment and cure. Active Drops TM is a KOKOS-POGATOS S.A. brand. These products have not been evaluated by the Food and Drug Administration and are not intended to diagnose, treat, cure or prevent any disease. © 2016 Active Drops. All Rights Reserved.